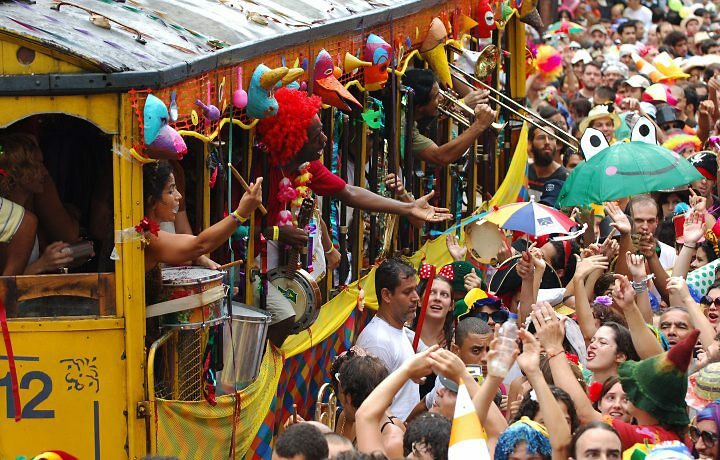 Known as the biggest party in the world, Carnaval in Rio de Janeiro is one of the most exciting times to visit the city. With flamboyant costumes, extravagant parades, and street parties where people drink, mingle, and dance with total abandon, it is an unforgettable event. 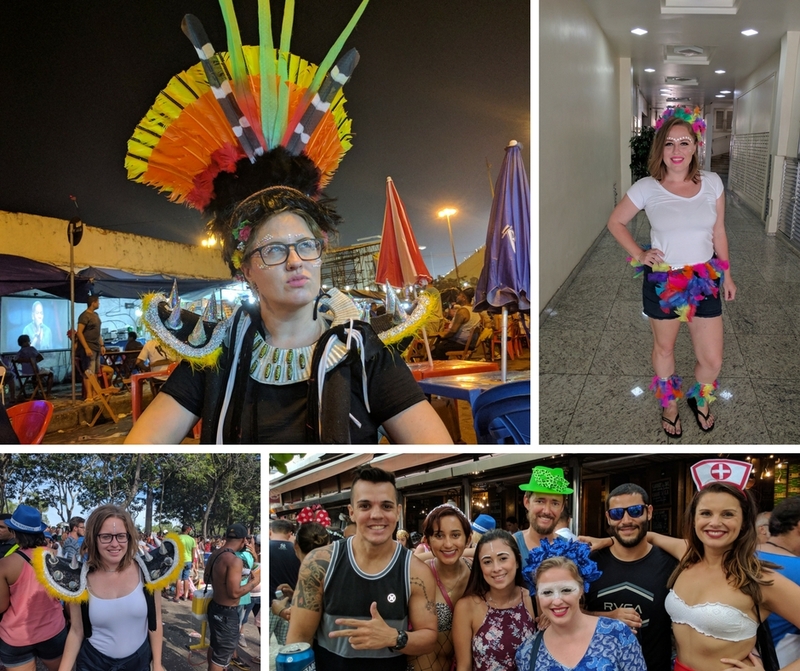 On this page, we will give you the complete guide to Carnival including: how to see the parades, where to stay, what blocos are and where to find them, what to wear during Carnival, what to expect during Carnival, LGBT Carnival, which samba schools to follow, and how to go to Carnival balls. It’s a lot to cover so let’s begin. Seeing the parades is an unforgettable experience. Months of preparation go into the performances of each samba school that manage to create a bigger and even better show each year. The parade entry varies depending on whether you want a basic viewing or VIP with food and drinks. Here are the main prices that include roundtrip transfers and VP options. Rio Carnival Ticket Prices Start at $60. VIP options available. The VIP section is in the center of the stadium. They are semi-private boxes, divided into three floors with Carnival decorations and a privileged view of the parade route. The party atmosphere is electric and is one of the best spots to see the parades. Ticket includes: ticket, roundtrip transfers, food catering, open bar, a DJ, private security team, and a bilingual hostess. These are assigned seats for the Carnival parade. There are the most affordable individual seats available. It is organised into specific rows with actual seating. These seats are in Floor Boxes directly on the parade route. They are divided into four rows (row A is the closest to the parade and B, C, and D are just behind them). They give an up close and personal viewing of the parades. This is the most basic Parade ticket. It doesn’t have an assigned seat and works on a first come, first served basis. Although the viewpoint is not as good as the other sectors, these seats allow you to be a part of the local crowd so the vibe is a fun one. The best places to stay is near to the action. 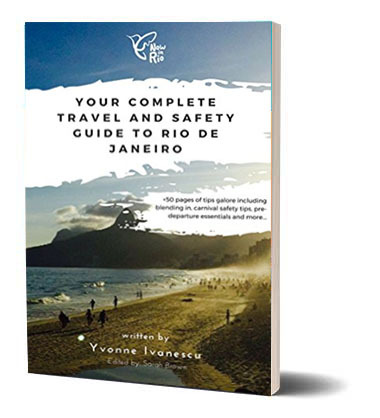 Centro is a great place as there are plenty of blocos there but I would recommend staying in Copacabana, Ipanema, or Leblon as there have some of Rio’s best blocos and the best transport links too. Book in advance to get a slightly cheaper deal and check any of the local hotels or hostels. What are blocos? Where do I find them? Blocos are the street parties that take place throughout the city. Personally, I love the blocos and with so many to choose from, it’s easy to find one that fits your style. The blocos are centred around a van that slowly trawls through a predetermined course within a neighbourhood. The van blasts out music – usually in Rio it’s samba, although there are a few that play different genres – as the crowd follow behind. Usually, everyone is drinking, dancing, and flirting (hook ups are pretty much inevitable during Carnival, but we’ll come to that in the ‘what to expect’ section). Also, most people are in fancy dress (again, more details on that in the ‘what to wear’ section). The list of blocos will be released nearer to Carnival and will show exactly which days, times, and locations of all the blocos. The most established ones are the best ones and they continue to attract huge crowds each year. Remember, blocos are FREE to go to. You simply just need to show up. The biggest, oldest, and most popular blocos are in Centro. Just remember, in Centro the blocos get packed and in the middle of the summer, it can feel incredibly hot and closed. By all means drink and have fun, but be sure to hydrate as well and stay close to friends. For a calmer bloco, try the Cordão do Boitatá which is popular among families as well as other party-goers. 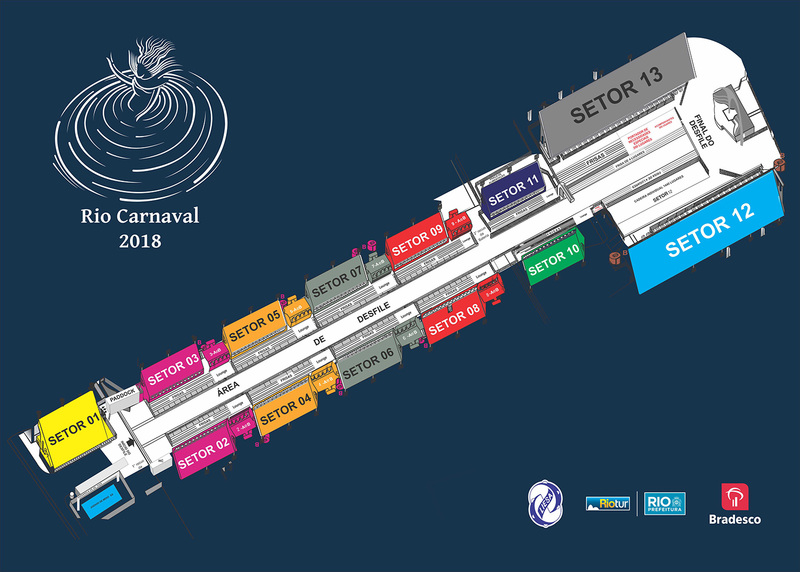 For the biggest bloco of them all, get ready for Cordão do Bola Preta, the official Carnival bloco and the one that marks the beginning of the parades. It usually attracts around 1 million people, although in 2011, a whopping 2.3 million people attended. The blocos in Santa Teresa seem more traditional and have a fun, creative feel to them. Carmelitas is one of the most popular blocos and is based on a story of a nun that became so enchanted with the Carnival debauchery that she leapt over the convent’s wall and joined in with the fun. It’s usual to see people wearing coloured veils during this bloco in honour of the runaway nun. Ceu na Terra is another popular bloco and is one of the most traditional, using large puppets in the crowd and typical brightly coloured costumes. Personally, I love the blocos in Ipanema and Leblon the most, but perhaps that’s because I love the fact the beach is right there to cool down on and join in some after-bloco party. It’s great fun and I love it. Sometimes, people set up informal parties on the beach with electronic music or funk which makes a welcome change from non-stop samba. Banda de Ipanema is one of the most famous blocos in this region and is liberal, gay-friendly, and even has extravagant drag queens parading around. Two other biggies in the area are Que Merda é Essa?! and Simpatia é Quase Amor, both of which are fun and attract a younger crowd. Any of the smaller, spontaneous blocos in these two neighbourhoods are definitely worth checking out for their fun-loving crowd, beautiful people, and contagiously euphoric atmosphere. Flamengo Sargento pimenta is one of the most famous and beloved blocos of the Carnival. It takes place at the Aterro de Flamengo and attracts thousands upon thousands of people. Why is it so famous? It takes a break from the samba theme track of Carnival and plays The Beatles classics mixed with a few samba notes. The atmosphere is great fun here and everyone, Brazilians and tourists alike, sing along and enjoy the music. Definitely, one to check out, whether you’re a huge Beatles fan or not. Jardim Botânico For quieter, calmer, yet still immensely fun blocos, head to Jardim Botânico. The blocos tend to be smaller and although the crowd is still young – think 18 to 30 kind of age – they tend to be a bit more chilled. One of the most popular in this area is Suvaco do Cristo, which translates to the Christ’s Armpit, referencing the fact that it takes place just under the Corcovado mountain where the Christ the Redeemer statue stands. These are a few of the best blocos but you can find them all over the city. More often than not, they will find you – it really is one week of non-stop partying in Rio and the blocos spring up everywhere. First thing to expect is the city to stop. 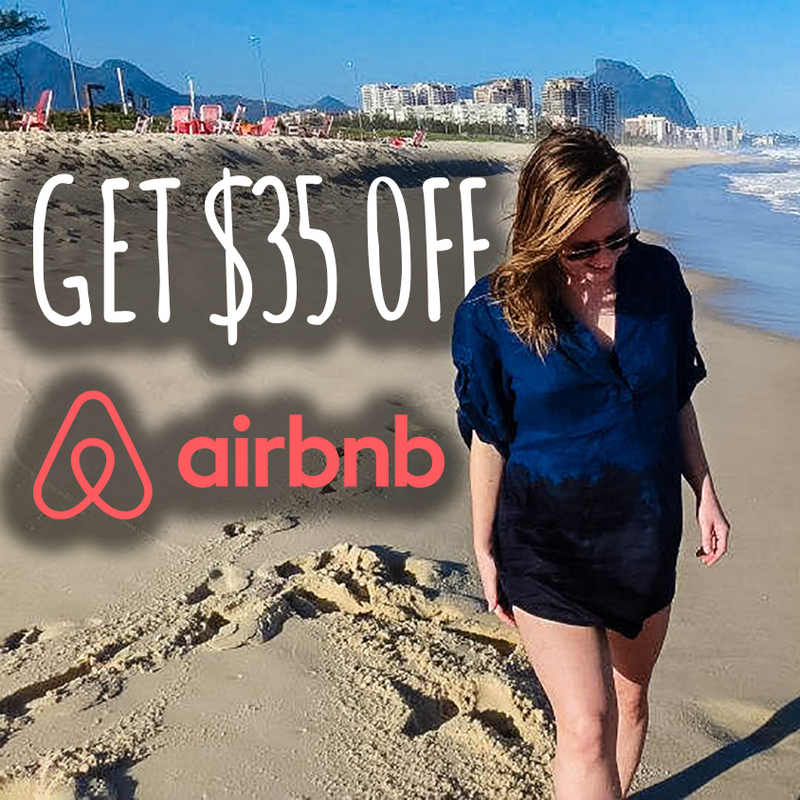 For one week, Rio de Janeiro has an overwhelming holiday spirit that is shared by everyone in the city. It’s totally contagious and hard to ignore. You will hear constant air horns, singing, shouting, and a never-ending flow of music. More than a few times I walked to the supermarket to get something and found myself in the middle of a bloco. Some of the blocos start early – around 6 or 7 am – and most finish no later than 8 pm. If you’re keen for an after-party, head to the beaches in Ipanema or Leblon; there is almost always some kind of party setup there. The blocos themselves are full of drinking. Think beers from the street, bottles of vodka with mixers brought from your home, or melzinhos (long tubes of vodka gel that you kind of drink, kind of eat). Drinking begins when the blocos start so if you head to the ones at 6am, expect to see plenty of people getting into the spirit of it all. I said before that Carnival involves a lot of flirting. It is common to see people kissing someone to then just walk away with their friends or meet someone else. It is also common for women to be approached by several men during the whole bloco. Usually a firm ‘no’ does the job (that is, if you’re not interested!) but sometimes it’s common to feel someone trying to get your attention by reaching out to touch your arm or hair. Just brush them off and keep walking. There are stories of couple who split up just before Carnival only to get back together after so they can enjoy a guilt-free Carnival. I’ve heard these stories many times before but I don’t know anyone that has done this. Although, I wouldn’t be surprised! Overall, the blocos are about fun, drinking, music, mingling, socialising, and having a great time. It’s basically a big, outdoor party in the sun. What to wear during Carnival? One of the first factors worth considering is that it’s summer in Rio during the Carnival and that means it will be hovering around the 40 degrees Celsius every day. Less is more in these circumstances! Other than that, you should wear whatever you want and whatever makes you feel comfortable. Most people use fancy dress costumes of some sorts. For men, it’s common to go shirtless and/or wear accessories such a skirts and headpieces (Minnie Mouse), shorts and an eye patch (pirate), or Hawaiian skirt (self-explanatory). These are just some that I remember from last year. Others I saw included babies (yep, they used huge diapers) and army officers. Some go for more elaborate costumes like a rollercoaster. This was a collaboration between four people who created rollercoaster seats, harnesses, and acted out the whole rollercoaster experience. I also saw a few guys dressed as showers. For women, black shorts and a bikini top (police officer), the outfit for Wonder Woman, pirates, sailor, devils, cats, mermaids, bikini and a ton of glitter….really, the options are endless. There are no rules to fancy dress, just whatever makes you happy and feel fun. You don’t even need to dress up – it’s totally up to you. The first picture and the third picture feature pieces that I actually got FOR FREE at the Sambodromo. Want to know more? 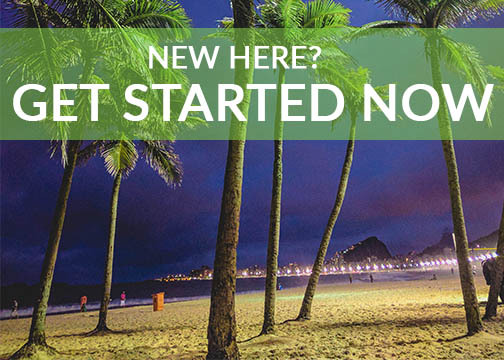 Sign up here for our special CARNAVAL IN RIO DE JANEIRO mailing list. LGBT Carnival There are plenty of LGBT friendly and open blocos and parties during Carnival. Banda de Ipanema is one of the most famous and attracts around 50,000 people each time. It is a great mix of hetero and gay and is one of my favourite blocos. After the bloco, head to Rua Farme de Amoedo as this is the famous gay street in Ipanema. It’s the best place to mingle and meet people. Right opposite this street is the gay part of Ipanema beach (it’s easy to spot, just look out for the rainbow flags). This part of the beach has the best after-bloco parties with plenty of electronic music and beautiful people. There is also something called Carnival Balls during Carnival. These are huge parties inside (like a fancy ball) that attracts thousands of people and offer an alternative option to the street parties. The most famous gay-friendly ball is the Scala Nightclub which greets its guest with a long, pink carpet. It’s on the last day of Carnival and the event is non-stop partying for two days. This party is pretty wild and attracts people from all over the world, as well as some of Brazil’s most famous drag queens. Other smaller balls include the Devassa in the Jockey Club and the gay ball at Elite, a smaller gay nightclub in Rio. But that’s not all! There are also gay circuits that run throughout Carnival. The circuit parties attract some of the world’s top DJs and play electronic music in cool venues such as by the beach, in farms just outside of Rio, or at old warehouses. One of the most popular is B.I.T.C.H (Barbies In Total Control Here) held in Barra da Tijuca. Barbie is the nickname for the gorgeous, tanned, and fit gay men in Rio. What are the Carnival balls? The Carnival Balls are some of the most extravagant events in the city that lets let’s you explore a different side of Rio. Each one has themes and although not mandatory, the costumes are often elaborate and flamboyant. The Magic Ball at Copacabana Palace is one of the most fancy balls in Rio, with past guests including Brigitte Bardot, Paris Hilton, and Gerald Butler. Past themes have included butterflies and crystals, and most people dress in elegant ball gowns or suits with masquerade masks. Cordão do Bola Preta Carnival Ball is a lot more affordable than the Magic Ball at Copacabana Palace. It plays traditional Brazilian music and has a black and white theme. The atmosphere there is contagious and happy with almost all the Brazilians there knowing the songs and singing along. STILL, NEED CARNAVAL IN RIO INFORMATION? To better serve you, please check all that apply below.